You will receive an email shortly with instructions to claim your prize!! Crochet Hats and Flowers are HERE!!! It's also common knowledge that if you need a hair accessory, go to http://www.cutiepiebows.com/. One of the most popular fashion trends right now are the crochet hats and headbands with flowers such as daisies or peonies. Hats or headbands are really fun accessories for babies and girls of all ages! You'll need one in every color combination!! We have more colors and styles that we'll be adding so keep checking back!! Or if you want a certain color, let us know! And don't forget to enter our Mary Kay Miracle Set Giveaway valued at $90! Keep reading to find out how to enter! Contest ends July 31, 2009. New Giveaway/Contest - Win a Mary Kay Miracle Set!!! Here at Cutie Pie Bows, we're in the business of making your little girl look and feel like a princess!! So now it's time to make MOMMY feel like a princess!! Cutie Pie Bows is teaming up with Lisa Snow with Mary Kay and giving away a Miracle Set valued at $90!!! It's time to pamper MOMMY!! You will just love the new TimeWise products from Mary Kay. They provide incredible age-fighting results to help you maintain younger-looking skin (and who doesn't want that????). The set offers 11 age-defying benefits in one skin care regimen: cleanse, exfoliate, freshen, energize, hydrate, smooth, firm, soften, protect, rebuild and reduce fine lines and wrinkles (again, I ask, who doesn't want that?????). To enter, go to www.marykay.com/lisasnow and take a look around and tell us what product you like best (yes, I said YOU, what YOU like all for YOURSELF)!! Just click here http://cutiepiebows.com/contact.php and enter your name, email address and in the Comments section, tell us what your favorite Mary Kay product is. That's all there is to it to be entered in our contest. We'll randomly pick a winner on Friday, July 31, 2009. Good luck!! AND check out the virtual makeovers at www.marykay.com/lisasnow - very cool - It's FREE, it's FUN, try it all!! Congratulations Christine!! You will receive an email shortly with all the details. ***The winner was randomly selected using http://www.random.org/. Don't forget to check back Monday for your chance to win our new giveaway!! I think tutus might be one of my favorite things!! And on little girls, oh so adorable!! So frilly, fru fru, fluffy and fabulous!! Check out our NEW Pink and Black Tutus! Of course, they are tutu cute!! Now on SALE for $10!! Looking for a totally unique baby shower or birthday gift? Or maybe a trendy and oh so chic tee or tank for mommy? Then check out the fabulous items by Princess and FROGS! They offer baby blankets, baby bibs, nap mats, monogrammed items and much more for boys, girls and mommies! You will fall in love with all their products! We are excited to team up with Princess and FROGS to offer a sweet GIVEAWAY!! Enter to win a Couture Nap Mat/Toddler Sleeping Bag + Monogramming + FREE Shipping valued at over $103!! Send your child to school with a Princess and FROGS Nap Mat and bring a touch of style to nap hour. Made from chic cozy designer fabrics, each Nap Mat is fully lined with either minky or satin fabric. These Nap Mats are unique because you can pull back the top layer and use it as a blanket, just like cuddling into a sleeping bag. A snap closure allows for easy removal of the inner mat for laundering. The Nap Mat folds neatly and ties for easy carrying! The winner can choose ANY Couture Nap Mat you see here at http://shopprincessandfrogs.com/couture_nap_saks_master.php. To enter, go to http://www.shopprincessandfrogs.com/ and take a look around and come back here to tell us what your favorite Princess and FROG'S product is. Just click here http://cutiepiebows.com/contact.php and enter your name, email address and in the Comments section, tell us what your favorite Princess and FROG'S product is. That's all there is to it to be entered in our contest. We'll randomly pick a winner on Friday, July 17, 2009. Good luck!! This contest is open to anyone in the United States. It will run from today, 7/6/09 until Friday, 7/17/09. One winner will be chosen. The winner will be posted on 7/18/09 and will have 3 days to respond to the email we send, at which time another winner will be chosen. Congratulations Erin!! You will receive your gift certificate via email shortly. 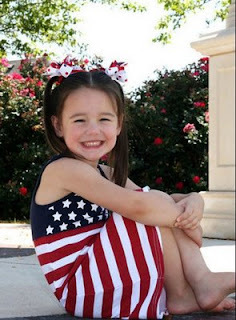 Happy 4th of July from Cutie Pie Bows!! Hope you all have a fun and safe 4th of July weekend!! We'll post the winner of the $20 Cutie Pie Bows gift certificate tomorrow, Friday July 3, 2009. There's still time to enter to win. Just click here http://cutiepiebows.com/contact.php and enter your name, email address and in the Comments section, enter GIVEAWAY. Don't forget to read our blog on Monday, July 6, 2009 -- be will be posting a new CONTEST GIVEAWAY and it's a good one!! Check back on Monday to get all the details!! Don't forgot to enter to win a $20 Gift Certificate to be redeemed at http://www.cutiepiebows.com/!!! Just click here http://cutiepiebows.com/contact.php and enter your name, email address and in the Comments section, enter GIVEAWAY. That's all there is to it to be entered in our contest. We'll randomly pick a winner on Friday, July 3, 2009. Our FREE Monogram Initial Hair Bow Special Offer is here again with $30 purchase (not including shipping). You design your own hair bow -- select the size (medium or large hair bow), ribbon color, monogram color and font style!! Offer has been extended and expires Friday 7/03/2009. Read our blog on Monday, July 6, 2009 -- be will be posting a new CONTEST GIVEAWAY and it's a good one!! Check back on Monday to get all the details! !